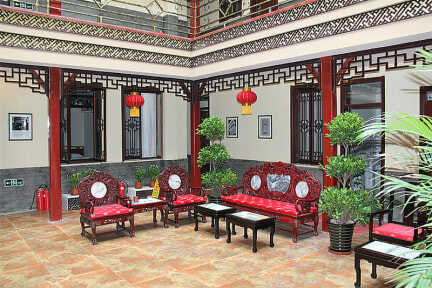 Housed in a 100-year old courtyard in Beijing's Hutong area, Hyde Courtyard Hotel is about 5-minute walk from Zhushikou metro station on Line 7, and a 10-minute walk from Qianmen metro station on Line 2, 5-minute walk from Dashilan and Qianmen Pedestrian Street and 10-minute walk from Tian’anmen Square, the Forbidden City and other popular tourist sites in the city centre. It takes less than 10 minutes by taxi to Xidan Shopping area, Temple of Heaven Park and Beijing Railway Station. There are some banks and post offices around the hotel. Beijing Capital International Airport is a 40-minute drive away.